Buying (Controlling) and flipping real estate can make you rich, buying and (Leveraging) holding real estate will make you wealthy. Whether you’re a new investor, intermediate or experienced investor; have money or don’t have money; have a high, low or no FICO score or somewhere you’re in between, Joe will show you 3 Home-Run Strategies you can start using immediately to generate residual income; two of which require no “work” on your part and one has your property sold before you buy it. 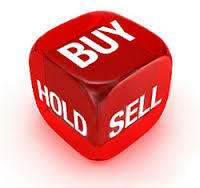 Buy and Hold is a great strategy especially here in the DFW Market. With a historically low supply of vacant properties, you can expect to have immediate equity using our proven techniques. So, what will you do with that equity? First option, “cash-out”. If quick cash is what you need to improve your lifestyle or invest in more income producing real estate that’s the route for you. Learning where to find the cash is a skill that every real estate investor needs to possess. Joe will provide an overview of how cashing out can speed up your buying power. Next, you can “cash-in. ”Programs like our Sharevestor program, allow you to take the cash you already have and invest in a turnkey rental property with minimal work on your part. With more than two years of success, you can expect at a minimum, double digit return with this program. This approach is ideal for investors who have full- time j-o-b-s or who want to let their money work for them for a change. And Joe will wrap it up by showing you equity leveraging. He will show you how you can participate in our “Reverse Close” Program. This is a one-of-a-kind proven owner finance program where we will have the buyer before you have the property; and a strategy that every investor should know. Don’t have any owner-finance experience? No worries! We take care of that too. We show you how to get all the benefits of the “Owner Finance” strategy without all the normal tasks involved. Dallas REIG is the premier place to be to jump start your real estate investing career. Join us Saturday, February 20 at our new facility for another information-packed presentation.